If you are new to Sabino Road or have never taken the next step beyond attending on the weekend, you may have questions about Sabino Road Baptist Church that will help you to take your next step. These are natural questions that we can answer. We’d like to invite you to an environment that we have developed to answer these questions and any other questions you may have. We understand that taking your next steps can be hard and confusing, so we want to help you. “Next Steps” is a relaxed and informative environment that will help you understand how we started, how we operate, and where we are going. This class also shows you the strategies we enlist to help you to grow spiritually at Sabino Road. Whether you are just starting out with Jesus or have been walking with Him for a while, we want to help you move forward. At Sabino Road, there are countless opportunities to volunteer and we cannot think of a better way for you to connect and feel a part of the mission. 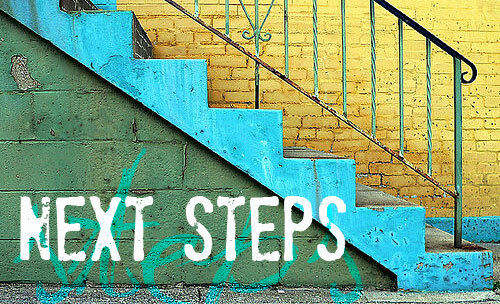 At “Next Steps” we will present you with all the opportunities available to serve and then to give you the tools to figure out which area is the perfect fit for you.